Hi, thanks very much for posting this, it looks great. Couple of editing notes - I edited the content type to be history, book page shouldn't really be there, and removed some of the tags as they should only be things which are the main topic of the text. Finally, if the subchapters only contain PDF files, then it is easier if all the PDF files are just attached to this parent page, and the child pages just deleted. If you wanted to do that would be great, otherwise no worries I will do it when I get a chance. Makes sense to delete the child pages (I actually wanted to add all of them in a single entry but I thought there may be a problem with the filesize quota). However, I think the CNT, CGT and RILU tags should be left in place, as all of these three unions/internationals are dealt with extensively in the book. Fantastic- I've been looking for this book for a long time. But where is part 3? Or is this part the same as the PhD? No, this is the full-length book, but you're right in that the 3rd chapter seems to be missing (I can't figure out why, but there you have it). I will try to re-upload it. Also, apologies to potential readers for the outrageous filesize; I was using a program that didn't have a file compression option at the time. But I think they can easily be compressed using MS Word or Open Office. update: the missing chapter has now been added. Hanxs - have not been looking for some time. The Hamburg pre-WWI monthly anarchist and syndicalist paper »Der Kampf. Organ für Anarchismus und Syndikalismus« is now (almost) complete online, 24 issues, June 1912 to June 1914 (PDF-format); the 'zero-number' (May 1912) was printed on red paper, which is almost impossible to scan. The page also holds a table of contents, an authors' register, and a slightly outdated (1986), but nonetheless informative introduction. If you can't scan it, you could try photographing it and using photoshop to alter the colours if necessary. 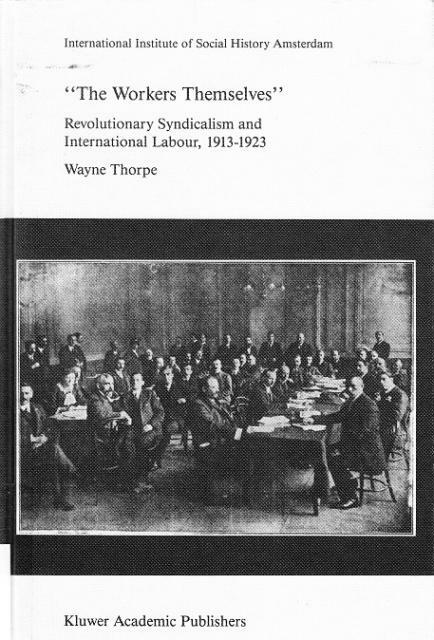 I am re-reading the chapter on the London Syndicalist Conference of 1913 and I was surprised to see that Rudolph Rocker did not attend the conference, although he was living in London at the time. Might anyone know if he was there? And, if not, why?